Holy books, walls defaced in Sephardi synagogue at border of Kiryat Yovel and Bayit Vagan. Eruv deliberately cut. 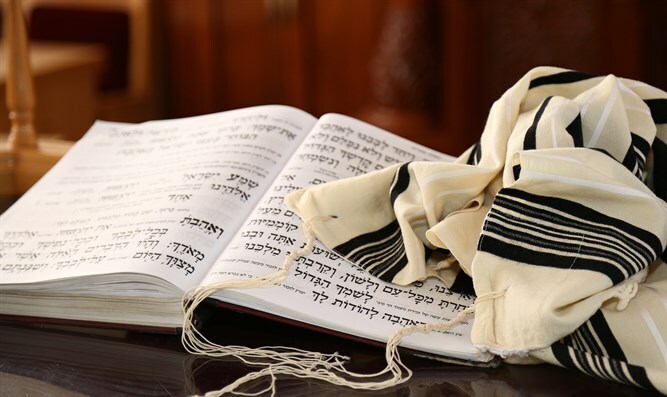 Two people broke into a Sephardi synagogue on the border of the neighborhoods of Kiryat Yovel and Bayit Vagan in Jerusalem overnight Friday, Kikar Hashabbat reported. The worshipers who arrived for Shabbat prayers on Saturday Monday were shocked to discover red spray paint on the prayer books, the Shabbat tablecloths and the walls. The police were summoned following the end of the Shabbat on Saturday night. A forensics lab was called to the site to try to identify the vandals who desecrated the house of worship. In addition, the vandals tore parts of the erev used by the religious communities in Kiryat Yovel and Bayit Vagan. According to witnesses, the suspects arrived at approximately 1:00 AM near the Ohr Baruch yeshiva with pliers and spray paint. They then climbed the poles and cut the eruv, which allows religious Jews to carry items on the Shabbat. Tensions have been high between secular and haredi residents of Kiryat Yovel and Bayit Vagan in recent years. "A few weeks ago, the subject of the eruv arose again, so maybe that's why they came back to rip the eruv and desecrate the synagogue, I do not know why they chose our synagogue, but maybe because it's close to eruv," said one of the worshipers at the synagogue. He added: "We are a synagogue that is not involved in all the mess and the confrontations. Everyone comes to pray in our synagogue." The yeshiva students said that "Rabbi Yehuda Dayan, one of the rabbis of the beit midrash, asked those present not to inflame the situation, because there is tension in the area and, thank God, secular residents are slowly being strengthened by the community and soon everyone will [get along]." MK Michael Malkieli (Shas) responded to the incident: "The time has come to say enough to the sickly hatred that has afflicted the Jewish people for generations. And to all those who are looking for the haredi who did not stand for the siren in order to condemn the entire community, where did you disappear to now? Your silence is as grave and worthy of condemnation as any of these people [who act with] malice and who harm anything precious to the people of Israel. Repent."